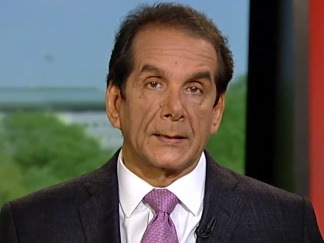 Krauthammer: "Nobody Worries Or Cares About What Obama Says Because It Carries No Weight"
CHARLES KRAUTHAMMER: The fact that people don't like the United States is not new. What's new is that these non-likers have no respect for the United States. As Jason indicates, nobody worries or cares about what Obama says because it carries no weight. We heard Jay Carney say, what did he say? 'This would unquestionably have a negative impact on U.S-Chinese relations.' Do you think anybody, Beijing cares about that or believes that? Is there any evidence? Remember how the president said we're going to hold accountable those who killed our ambassador in Libya, we're going to hold accountable the authorities in Syria who have killed so many of their own people? He's talked a hundred times about holding x or y or z accountable. Nobody’s held accountable and everyone knows that. Carney On Snowden: "Not Buying That This Was A Technical Decision By A Hong Kong Immigration Official"